Hematuria is the presence of red blood cells in the urine and can be visible to the naked eye (macroscopic), detectable with microscopic analysis or found by dipstick testing of urine. Around 40% of patients with hematuria have a significant underlying cause regardless of the quantity of blood in the urine. 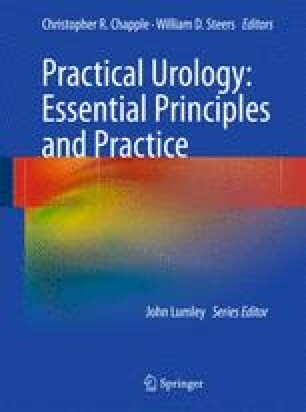 As the presence of hematuria is common and there are often no clues as to the underlying cause, this condition comprises a large amount of the urological workload and should be regarded as a manifestation of urological malignancy until proven otherwise.1 While it is recognized that the contemporary urological approach for the investigation of hematuria may not always be evidence-based medicine,1 there are numerous high-quality studies confirming the prevalence of disease within patients with this condition.